In Petrograd dissatisfaction with the regime culminated in the spontaneous July Days riots, by industrial workers and soldiers. 'An intolerable atmosphere has been created, in which you, as well as we, are choking. They are throwing dirty accusations at Lenin and Zinoviev. Lenin has fought thirty years for the revolution. I have fought for twenty years against the oppression of the people. 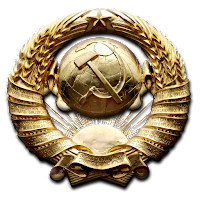 In the event, the Provisional Government arrested the Bolsheviks and outlawed their Party, prompting Lenin to go into hiding and flee to Finland. In exile again, reflecting on the July Days and its aftermath, Lenin determined that, to prevent the triumph of counter-revolutionary forces, the Provisional Government must be overthrown by an armed uprising. Meanwhile, he published State and Revolution (1917) proposing government by the soviets (worker-, soldier- and peasant-elected councils) rather than by a parliamentary body. In late August 1917, while Lenin was in hiding in Finland, the Commander-in-Chief of the Russian Army General Lavr Kornilov sent troops from the front to Petrograd in what appeared to be a military coup attempt against the Provisional Government. Kerensky panicked and turned to the Petrograd Soviet for help, allowing the revolutionaries to organise workers as Red Guards to defend Petrograd. The coup petered out before it reached Petrograd thanks to the industrial action of the Petrograd workers and the soldiers' increasing unwillingness to obey their officers. However, faith in the Provisional Government had been severely shaken. Lenin's slogan since the April Theses – "All power to the soviets !" – became more plausible the more the Provisional Government was discredited in public eyes. The Bolsheviks won a majority in the Petrograd Soviet on 31 August and in the Moscow Soviet on 5 September. In October Lenin returned from Finland. From the Smolny Institute for girls, Lenin directed the Provisional Government's deposition (6–8 November 1917), and the storming (7–8 November) of the Winter Palace to realise the Kerensky capitulation that established Bolshevik government in Russia. The October Revolution had been relatively peaceful. The revolutionary forces already had de facto control of the capital thanks to the defection of the city garrison. Few troops had stayed to defend the Provisional Government in the Winter Palace. Most citizens had simply continued about their daily business while the Provisional Government was actually overthrown. It thus appeared that all power had been transferred to the Soviets relatively peacefully. On the evening of the October Revolution, the Second All-Russian Congress of Soviets met, with a Bolshevik-Left SR majority, in the Smolny Institute in Petrograd. When the left-wing Menshevik Martov proposed an all-party Soviet government, the Bolshevik Lunacharsky stated that his party did not oppose the idea. The Bolshevik delegates voted unanimously in favour of the proposal. However, not all Russian socialists supported transferring all power to the Soviets. 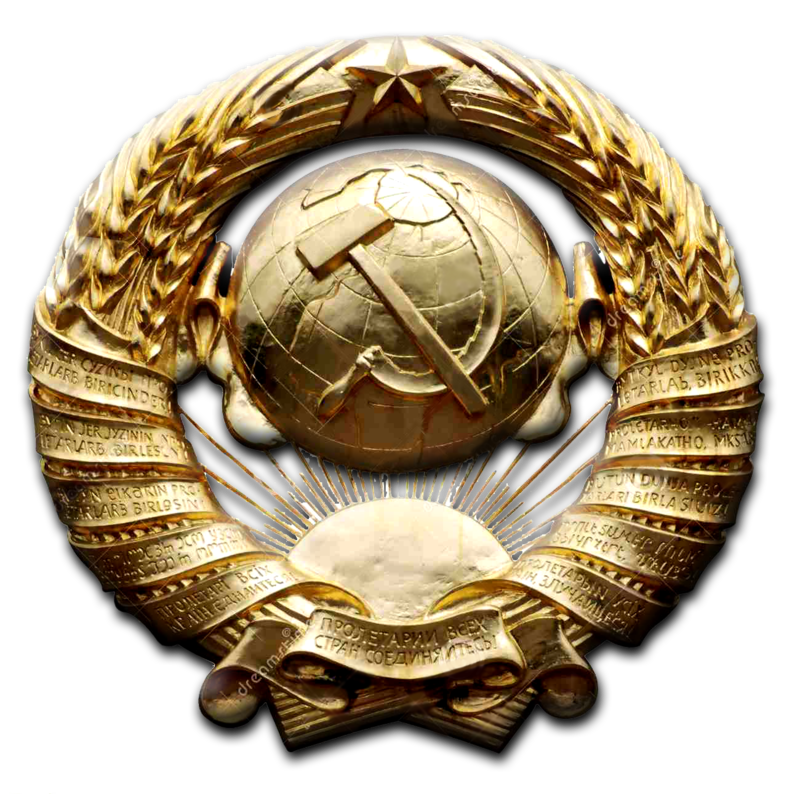 The Right SRs and Mensheviks walked out of this very first session of the Congress of Soviets in protest at the overthrow of the Provisional Government, of which their parties had been members. The next day, on the evening of 26 October O.S., Lenin attended the Congress of Soviets: undisguised in public for the first time since the July Days, although not yet having regrown his trademark beard. According to Reed, Lenin waited for the applause to subside before declaring simply: "We shall now proceed to construct the Socialist order !" Lenin proceeded to propose to the Congress a Decree on Peace, calling on "all the belligerent peoples and to their Governments to begin immediately negotiations for a just and democratic peace", and a Decree on Land, transferring ownership of all "land-owners' estates, and all lands belonging to the Crown, [and] to monasteries" to the Peasants' Soviets. The Congress passed the Decree on Peace unanimously, and the Decree on Land faced only one vote in opposition. Having approved these key Bolshevik policies, the Congress of Soviets proceeded to elect the Bolsheviks into power as the Council of People's Commissars by "an enormous majority". The Bolsheviks offered posts in the Council to the Left SRs: an offer that the Left SRs at first refused, but later accepted, joining the Bolsheviks in coalition on 12 December O.S. Lenin had suggested that Trotsky take the position of Chairman of the Council—the head of the Soviet government—but Trotsky refused on the grounds that his Jewishness would be controversial, and he took the post of Commissar for Foreign Affairs instead. Thus Lenin became the head of government in Russia. Trotsky announced the composition of the new Soviet Central Executive Committee: with a Bolshevik majority, but with places reserved for the representatives of the other parties, including the seceded Right SRs and Mensheviks. Trotsky concluded the Congress: "We welcome into the Government all parties and groups which will adopt our programme." 'We must show the peasants that the organisation of industry on the basis of modern, advanced technology, on electrification, which will provide a link between town and country, will put an end to the division between town and country, will make it possible to raise the level of culture in the countryside and to overcome, even in the most remote corners of land, backwardness, ignorance, poverty, disease, and barbarism. Yet the Bolshevik Government had to first withdraw Russia from the First World War (1914–18). Facing continuing Imperial German eastward advance, Lenin proposed immediate Russian withdrawal from the West European war; yet, other, doctrinaire Bolshevik leaders (e.g. Nikolai Bukharin) advocated continuing in the war to foment revolution in Germany. Lead peace treaty negotiator Leon Trotsky proposed No War, No Peace, an intermediate-stance Russo–German treaty conditional upon neither belligerent annexing conquered lands; the negotiations collapsed, and the Germans renewed their attack, conquering much of the (agricultural) territory of west Russia. Resultantly, Lenin's withdrawal proposal then gained majority support, and, on 3 March 1918, Russia withdrew from the First World War via the Treaty of Brest-Litovsk, losing much of its European territory. Because of the German threat Lenin moved the Soviet Government from Petrograd to Moscow on 10–11 March 1918. On 19 January 1918, relying upon the soviets, the Bolsheviks, allied with anarchists and the Socialist Revolutionaries, dissolved the Russian Constituent Assembly thereby consolidating the Bolshevik Government's political power. Yet, that left-wing coalition collapsed consequent to the Social Revolutionaries opposing the territorially expensive Brest-Litovsk treaty the Bolsheviks had concorded with Imperial Germany. The anarchists and the Socialist Revolutionaries then joined other political parties in attempting to depose the Bolshevik Government, who defended themselves with persecution and jail for the anti-Bolsheviks. To initiate the Russian economic recovery, on 21 February 1920, he launched the GOELRO plan, the State Commission for Electrification of Russia (Государственная комиссия по электрификации России), and also established free universal health care and free education systems, and promulgated the politico-civil rights of women. Moreover, since 1918, in re-establishing the economy, for the productive business administration of each industrial enterprise in Russia, Lenin proposed a government-accountable leader for each enterprise. Workers could request measures resolving problems, but had to abide the leader's ultimate decision. Although contrary to workers' self-management, such pragmatic industrial administration was essential for efficient production and employment of worker expertise. Yet Lenin's doctrinaire Bolshevik opponents argued that such industrial business management was meant to strengthen State control of labour, and that worker self-management failures were owed to lack of resources, not incompetence. Lenin resolved that problem by licencing (for a month) all workers of most factories; thus historian S. A. Smith's observation: "By the end of the civil war, not much was left of the democratic forms of industrial administration promoted by the factory committees in 1917, but the government argued that this did not matter since industry had passed into the ownership of a workers' state." Internationally, Lenin's admiration of the Irish socialist revolutionary James Connolly, led to the USSR's being the first country to grant diplomatic recognition to the Irish Republic that fought the Irish War of Independence from Britain. In the event, Lenin developed a friendship with Connolly's revolutionary son, Roddy Connolly. 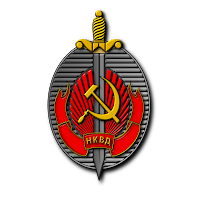 On 20 December 1917, "The Whole-Russian Extraordinary Commission for Combating Counter-Revolution and Sabotage", the Cheka (Chrezvychaynaya Komissiya – Extraordinary Commission) was created by a decree issued by Lenin to defend the Russian Revolution. 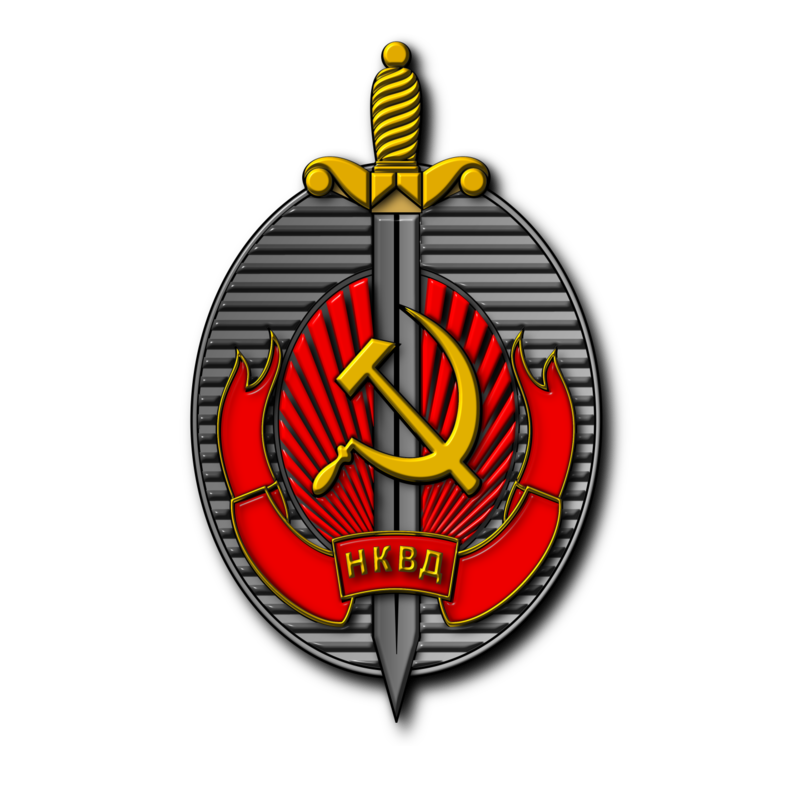 The establishment of the Cheka, secret service, headed by Felix Dzerzhinsky, formally consolidated the censorship established earlier, when on "17 November, the Central Executive Committee passed a decree giving the Bolsheviks control over all newsprint and wide powers of closing down newspapers critical of the régime. . . ."; non-Bolshevik soviets were disbanded; anti-soviet newspapers were closed until 'Pravda' (Truth) and 'Izvestia' (The News) established their communications monopoly. According to Leonard Schapiro the Bolshevik "refusal to come to terms with the [Revolutionary] socialists, and the dispersal of the Constituent assembly, led to the logical result that revolutionary terror would now be directed, not only against traditional enemies, such as the bourgeoisie or right-wing opponents, but against anyone, be he socialist, worker, or peasant, who opposed Bolshevik rule". On 19 December 1918, a year after its creation, a resolution was adopted at Lenin's behest that forbade the Bolshevik's own press from publishing "defamatory articles" about the Cheka. As Lenin put it: "A Good Communist is also a good Chekist." Lenin was enthusiastic about new mass communication technology like the radio and the gramophone and its capacity for educating Russia's mostly illiterate peasant population. In 1919 Lenin recorded eight speeches on to gramophone records. 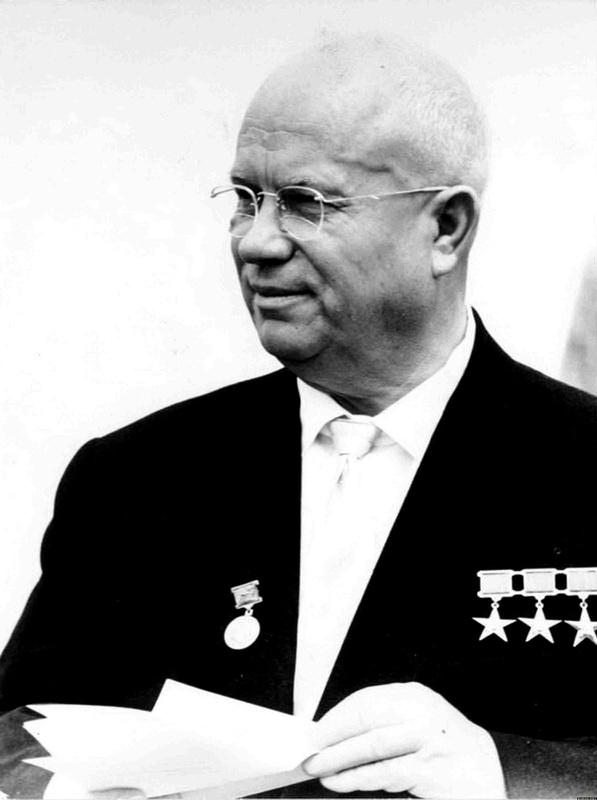 During the Nikita Khrushchev era (1953–64), seven were published. Lenin survived two serious assassination attempts. The first occasion was on 14 January 1918 in Petrograd, when assassins ambushed Lenin in his automobile after a speech. He and Fritz Platten were in the back seat when assassins began shooting, and "Platten grabbed Lenin by the head and pushed him down... Platten's hand was covered in blood, having been grazed by a bullet as he was shielding Lenin". Fritz Platten (8 July 1883 – 22 April 1944) was a Swiss Communist, born in the Canton of St. Gallen. 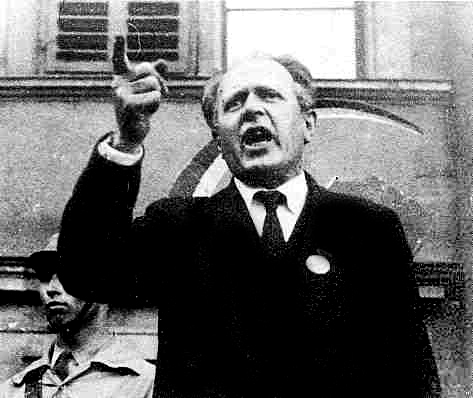 After the collapse of the Second International, Platten joined the Zimmerwald Movement and became a Communist. Fritz Platten is mostly known for having been the main organizer of Lenin’s return trip from the exile in Switzerland back home to Russia after the February Revolution. Due to the First World War, the trip was not easily arranged, but Lenin and his company traveled through Germany in a sealed traincar. They then took the ferry to Sweden and were greeted in Stockholm by the Swedish communist leaders who together with Platten had helped plan the trip. The train journey then continued through northern Sweden and Finland back to Russia and St Petersburg. Platten participated in the foundation of the Communist International, and spent much time in the Soviet Union. Platten was present when Lenin’s car was attacked in Petrograd on January 1, 1918. The two were riding in the back of the car after having given a public speech at Mikhailovsky Manege. When the shooting started "Platten grabbed Lenin by the head and pushed him down. ... Platten’s hand was covered in blood, having been grazed by a bullet as he was shielding Lenin." Platten became a victim of the Stalinist purges of the 1930s. He was arrested in 1938 and moved to a prison camp near Nyandoma in 1939, where he was shot on 22 April 1944. The second event was on 30 August 1918, when the Socialist Revolutionary Fanya Kaplan approached Lenin at his automobile after a speech; he was resting a foot on the running board as he spoke with a woman. 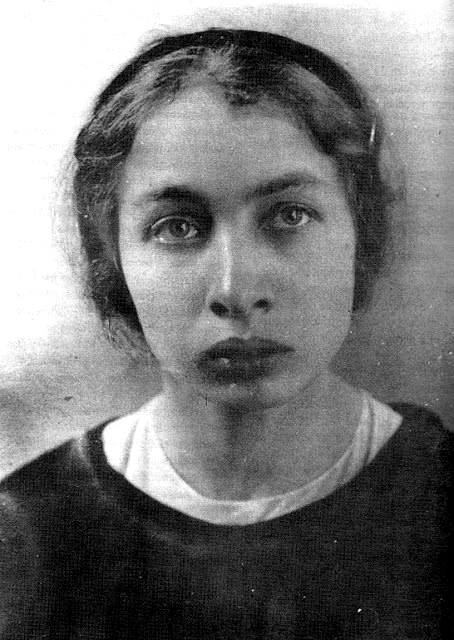 Kaplan called to Lenin, and when he turned to face her she shot at him three times. The first bullet struck his arm, the second bullet his jaw and neck, and the third missed him, wounding the woman with whom he was speaking; the wounds felled him and he became unconscious. Фа́нни Ефи́мовна Капла́н - Fanny Yefimovna Kaplan (real name Feiga Haimovna Roytblat; Russian: Фейга Хаимовна Ройтблат; February 10, 1890 – September 3, 1918), was a Russian political revolutionary who attempted assassination of Vladimir Lenin. Kaplan was born into a Jewish family, as one of the seven children. 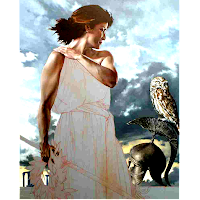 She became a political revolutionary at an early age and joined a socialist group, the Socialist Revolutionaries. Kaplan was taken into custody and interrogated by the Cheka. When it became clear that Kaplan would not implicate any accomplices, she was executed on September 3, 1918 with a bullet to the back of the head. Fearing in-hospital assassins, Lenin was brought to his Kremlin apartment; physicians decided against removing the bullets lest the surgery endanger his recovery, which proved to be slow. 'Pravda' publicly ridiculed Fanya Kaplan as a failed assassin, a latter-day Charlotte Corday (the murderess of Jean-Paul Marat) who could not derail the Russian Revolution, reassuring readers that, immediately after surviving the assassination: "Lenin, shot through twice, with pierced lungs spilling blood, refuses help and goes on his own. The next morning, still threatened with death, he reads papers, listens, learns, and observes to see that the engine of the locomotive that carries us towards global revolution has not stopped working..."; despite unharmed lungs, the neck wound did spill blood into a lung. Historian Richard Pipes reports that "the impression one gains ... is that the Bolsheviks deliberately underplayed the event to convince the public that, whatever happened to Lenin, they were firmly in control". As it happens, the attempt to kill Lenin has made him much more popular than he was. One hears a great many people, who are far from having any sympathy with the Bolsheviks, saying that it would be an absolute disaster if Lenin had succumbed to his wounds, as it was first thought he would. And they are quite right, for, in the midst of all this chaos and confusion, he is the backbone of the new body politic, the main support on which everything rests. 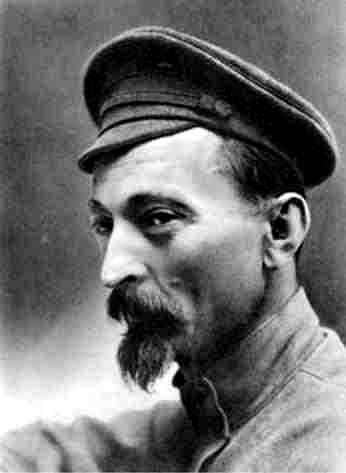 In response to Fanya Kaplan's failed assassination of Lenin on 30 August 1918, and the successful assassination of the Petrograd Cheka chief Moisei Uritsky, Stalin proposed to Lenin "open and systematic mass terror against those responsible"; the Bolsheviks instructed Felix Dzerzhinsky to commence a 'Red Terror', announced in the 1 September 1918 issue of the 'Krasnaya Gazeta' (Red Gazette). To that effect, among other acts, at Moscow, execution lists signed by Lenin authorised the shooting of 25 Tsarist ministers, civil servants, and 765 White Guards in September 1918. In his 'Diaries in Exile', 1935, Leon Trotsky recollected that Lenin authorised the execution of the Russian Royal Family. However, according to Greg King and Penny Wilson's investigation into the fate of the Romanovs, Trotsky's recollections on this matter, seventeen years after the events described, are unsubstantiated, inaccurate, and contradicted by what Trotsky himself said on other occasions. Most historians say there is enough evidence to prove Lenin ordered the killings. Earlier, in October, Lev Kamenev and cohort, had warned the Party that terrorist rule was inevitable, given Lenin's assumption of sole command. In late 1918, when he and Nikolai Bukharin tried curbing Chekist excesses, Lenin overruled them; in 1921, via the Politburo, he expanded the Cheka's discretionary death-penalty powers. The foreign-aided White Russian counter-revolution failed for want of popular Russian support, because the Bolshevik proletarian state, protected with "mass terror against enemies of the revolution", was socially organised against the previous capitalist establishment, thus class warfare terrorism in post–Tsarist Russia originated in working class (peasant and worker) anger against the privileged aristocrat classes of the deposed absolute monarchy. During the Russian Civil War, anti-Bolsheviks faced torture and summary execution, and by May 1919, there were some 16,000 enemies of the people imprisoned in the Tsarist katorga labour camps; by September 1921 the prisoner populace exceeded 70,000. In pursuing their revolution and counter-revolution the White and the Red Russians committed atrocities, against each other and their supporting populaces, yet contemporary historians disagree about equating the terrorisms—because the Red Terror was Bolshevik Government policy (e.g. Decossackization) against given social classes, while the class-based White Terror was racial and political, against Jews, anti-monarchists, and Communists, (cf. White Movement). Professor Christopher Read states that though terror was employed at the height of the Civil War fighting, "from 1920 onwards the resort to terror was much reduced and disappeared from Lenin's mainstream discourses and practices". However, after a clerical insurrection in the town of Shuia, in a 19 March 1922 letter to Vyacheslav Molotov and the Politburo, Lenin delineated action against defiers of the decreed Bolshevik removal of Orthodox Church valuables: "We must... put down all resistance with such brutality that they will not forget it for several decades... The greater the number of representatives of the reactionary clergy and reactionary bourgeoisie we succeed in executing... the better." As a result of this letter, historian Orlando Figes estimates that perhaps 8,000 priests and laymen were executed. And the crushing of the revolts in Kronstadt and Tambov in 1921 resulted in tens of thousands of executions. Estimates for the total number of people killed in the Red Terror ranger from 50,000 to over a million. In 1917, as an anti-imperialist, Lenin said that oppressed peoples had the unconditional right to secede from the Russian Empire; however, at end of the Civil War, the USSR annexed Armenia, Georgia, and Azerbaijan, because the White Movement used them as attack bases. Lenin defended the annexations as geopolitical protection against capitalist imperial depredations. To maintain the war-isolated cities, keep the armies fed, and to avoid economic collapse, the Bolshevik government established war communism, via prodrazvyorstka, food requisitioning from the peasantry, for little payment, which peasants resisted with reduced harvests. The Bolsheviks blamed the kulaks' withholding grain to increase profits; but statistics indicate most such business occurred in the black market economy. Nonetheless, the prodrazvyorstka resulted in armed confrontations, which the Cheka and Red Army suppressed with shooting hostages, poison gas, and labour-camp deportation; yet Lenin increased the requisitioning. 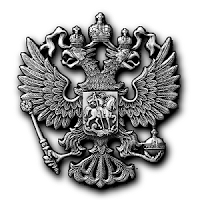 The six-year long White–Red civil war, the war communism, the famine of 1921, which killed an estimated five million, and red terror reduced much of Russia to ruin, and provoked rebellion against the Bolsheviks, the greatest being the Tambov Rebellion (1919–21). After the March 1921 left-wing Kronstadt Rebellion mutiny, Lenin replaced war communism with the New Economic Policy (NEP), and successfully rebuilt industry and agriculture. The NEP was his pragmatic recognition of the political and economic realities, despite being a tactical, ideological retreat from the socialist ideal; later, the doctrinaire Joseph Stalin reversed the NEP in consolidating his control of the Communist Party and the USSR. Persistent stories mark syphilis as the cause of Lenin's death. A "retrospective diagnosis" published in 'The European Journal of Neurology' in 2004 strengthens these suspicions. The mental strains of leading a revolution, governing, and fighting a civil war aggravated the physical debilitation consequent to the wounds from the attempted assassinations; Lenin retained a bullet in his neck, until a German surgeon removed it on 24 April 1922. Among his comrades, Lenin was notable for working almost ceaselessly, fourteen to sixteen hours daily, occupied with minor, major, and routine matters. When already sick, Lenin remembered that, since 1917, he had only rested twice: once, while hiding from the Kerensky Provisional Government (when he wrote 'The State and Revolution'), and while recovering from Fanya Kaplan's failed assassination. In March 1922, when physicians examined him, they found evidence of neither nervous nor organic pathology, but, given his fatigue and the headaches he suffered, they prescribed rest. Upon returning to St. Petersburg in May 1922, Lenin suffered the first of three strokes, which left him unable to speak for weeks, and severely hampered motion in his right side; by June, he had substantially recovered. By August he resumed limited duties, delivering three long speeches in November. In December 1922, he suffered the second stroke that partly paralyzed his right side, he then withdrew from active politics. In March 1923, he suffered the third stroke that rendered him mute and bed-ridden until his death. After the first stroke, Lenin dictated government papers to Nadezhda; among them was 'Lenin's Testament' (changing the structure of the soviets), a document partly inspired by the 1922 'Georgian Affair', which was a conflict about the way in which social and political transformation within a constituent republic was to be achieved. 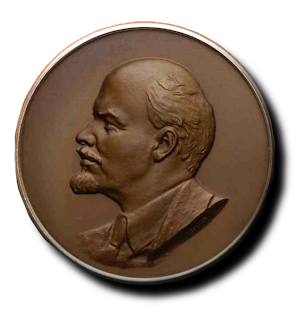 It criticized high-rank Communists, including Joseph Stalin, Grigory Zinoviev, Lev Kamenev, Nikolai Bukharin, and Leon Trotsky. About the Communist Party's General Secretary (since 1922), Joseph Stalin, Lenin reported that the "unlimited authority" concentrated in him was unacceptable, and suggested that "comrades think about a way of removing Stalin from that post." His phrasing, "Сталин слишком груб", implies "personal rudeness, unnecessary roughness, lack of finesse", flaws "intolerable in a Secretary-General". At Lenin's death, Nadezhda mailed his testament to the central committee, to be read aloud to the 13th Party Congress in May 1924, however, to remain in power, the ruling troika—Stalin, Kamenev, Zinoviev—suppressed 'Lenin's Testament'; it was not published until 1925, in the United States, by the American intellectual Max Eastman. In that year, Trotsky published an article minimising the importance of 'Lenin's Testament', saying that Lenin's notes should not be perceived as a will, that it had been neither concealed, nor violated; yet he did invoke it in later anti-Stalin polemics. Lenin died at 18.50 hrs, Moscow time, on 21 January 1924, aged 53, at his estate at Gorki settlement (later renamed Gorki Leninskiye). 'Through the ages of world history, thousands of leaders and scholars appeared who spoke eloquent words, but these remained words. You, Lenin, were an exception. You not only spoke and taught us, but translated your words into deeds. You created a new country. You showed us the road of joint struggle... You, great man that you are, will live on in the memories of the oppressed people through the centuries. 'He alone could have found the way back to the causeway... The Russian people were left floundering in the bog. Their worst misfortune was his birth... their next worst his death. The Soviet government publicly announced Lenin's death the following day, with head of State Mikhail Kalinin tearfully reading an official statement to delegates of the All-Russian Congress of Soviets at 11am, the same time that a team of physicians began a postmortem of the body. 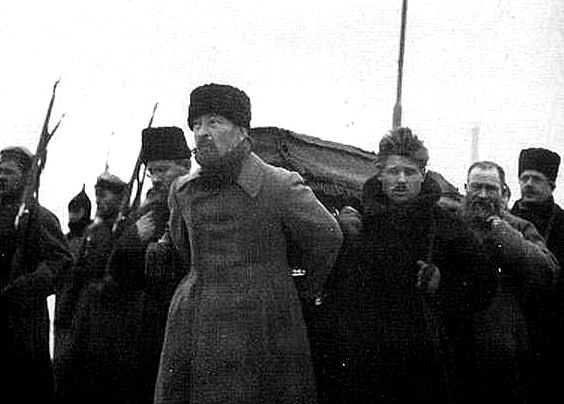 On 23 January, mourners from the Communist Party Central Committee, the Moscow party organisation, the trade unions and the soviets began to assemble at his house, with the body being removed from his home at about 10am the following day, being carried aloft in a red coffin by Kamenev, Zinoviev, Stalin, Bukharin, Bubhov and Krasin. Transported by train to Moscow, mourners gathered at every station along the way, and upon arriving in the city, a funerary procession carried the coffin for five miles to the 'House of Trade Unions', where the body lay in state. Over the next three days, around a million mourners from across the Soviet Union came to see the body, many queuing for hours in the freezing conditions, with the events being filmed by the government. On Saturday 26 January, the eleventh 'All-Union Congress of Soviets' met to pay respects to the deceased leader, with speeches being made by Kalinin, Zinoviev and Stalin, but notably not Trotsky, who had been convalescing in the Caucasus. Lenin's funeral took place the following day, when his body was carried to 'Red Square', accompanied by martial music, where assembled crowds listened to a series of speeches before the corpse was carried into a vault, followed by the singing of the revolutionary hymn, "You fell in sacrifice." Instead, the body of V. I. Lenin was embalmed and permanently exhibited in Lenin's Mausoleum, in Moscow, on 27 January 1924. Despite the official diagnosis of death from stroke consequences, the Russian scientist Ivan Pavlov reported that Lenin died of neurosyphilis, according to a publication by V. Lerner and colleagues in the European Journal of Neurology in 2004. The authors also note that "It is possible that future DNA technology applied to Lenin's preserved brain material could ultimately establish or disprove neurosyphilis as the primary cause of Lenin's death." In a poll conducted by a Russian website, 48 per cent of the people that responded voted that the body of the former leader should be buried. Lenin was a Marxist, and principally a revolutionary. His revolutionary theory—the belief in the necessity of a violent overthrow of capitalism through communist revolution, to be followed by a dictatorship of the proletariat as the first stage of moving towards communism, and the need for a vanguard party to lead the proletariat in this effort—developed into Marxism–Leninism, a highly influential ideology. Lenin biographer Robert Service noted that Lenin considered "moral questions" to be "an irrelevance", rejecting the concept of moral absolutism; instead he judged whether an action was justifiable based upon its chances of success for the revolutionary cause. As stated in his 'Imperialism, the Highest Stage of Capitalism', Lenin's revolutionary project embraced not just Russia but the world. To implement world revolution the 'Third International' was convened in Russia in 1919, to replace the discredited 'Second International'. Lenin dominated the first, second (1920) and third (1921) Congresses of the International and hoped to use the organisation as an agency of international socialist revolution. After the failure of revolutionary ambitions in Poland, in the Polish–Soviet War of 1919–21, and after various revolutions in Germany and Eastern Europe in 1919 had been crushed, Lenin, increasingly, saw that anti-colonial struggles in the Third World would be the foci of the revolutionary struggle. He believed that revolution in the Third World would come about through an alliance of the proletarians with the rural peasantry. The outcome of the struggle will be determined by the fact that Russia, India, China, etc,. account for the overwhelming majority of the population of the globe. And during the last few years it is this majority that has been drawn into the struggle for emancipation with extraordinary rapidity, so that in this respect there cannot be the slightest doubt what the final outcome of the world struggle will be. In this sense the complete victory of socialism is fully and absolutely assured. Lenin praised Chinese socialist revolutionary leader Sun Yatsen and his Kuomintang party for their ideology and principles. Lenin praised Sun, his attempts on social reformation and congratulated him for fighting foreign Imperialism. Sun also returned the praise, calling him a "great man", and sent his congratulations on the revolution in Russia. Organised on Leninism, the Kuomintang was a nationalist revolutionary party, which had been supported by the Soviet Union. Lenin was a prolific political theoretician and philosopher who wrote about the practical aspects of carrying out a proletarian revolution; he wrote pamphlets, articles, and books, without a stenographer or secretary, until prevented by illness. He simultaneously corresponded with comrades, allies, and friends, in Russia and world-wide. His Collected Works comprise 54 volumes, each of about 650 pages, translated into English in 45 volumes by Progress Publishers, Moscow 1960–70. 'What is to be Done ?' (1902) states that a revolution requires a professional vanguard party. 'Imperialism, the Highest Stage of Capitalism' (1916) explains why capitalism had not collapsed, as Marx had posited, presenting the First World War as a capitalist war for land, resources, and cheap labour. 'The State and the Revolution' (1917) interprets the ideas of Marx and Engels, the October Revolution's theoretic basis, and opposes the social-democratic tendency as indecisive in effecting revolution. 'April Theses' (1917) propose the socio-economic need for a socialist revolution. 'Left-Wing Communism: An Infantile Disorder' (1920) sharply criticizes the "ultra-left"
After Lenin's death, the USSR selectively censored his writings, to establish the dogma of the infallibility of Lenin, Stalin (his successor), and the Central Committee; thus, the Soviet fifth edition (55 vols., 1958–65) of Lenin's œuvre deleted the Lenin–Stalin contradictions, and all that was unfavourable to the founder of the USSR. The historian Richard Pipes published a documentary collection of letters and telegrams excluded from the Soviet fifth edition, proposing that edition as incomplete. "Lenin's collected writing] reveal in detail a man with iron will, self-enslaving self-discipline, scorn for opponents and obstacles, the cold determination of a zealot, the drive of a fanatic, and the ability to convince or browbeat weaker persons by his singleness of purpose, imposing intensity, impersonal approach, personal sacrifice, political astuteness, and complete conviction of the possession of the absolute truth. His life became the history of the Bolshevik movement." One of Lenin's biographers, the historian Robert Service, asserted that the Russian had been "a young man of intense emotions", who also exhibited a "visceral hatred" of the "slightest sign of illegality or corruption", which he saw exhibited throughout Tsarist Russia. He furthermore argued that Lenin was a man who could be "moody and volatile". Service noted that Lenin developed an "emotional attachment" to his ideological heroes, such as Marx, Engels and Chernyshevsky, owning portraits of them. Lenin's outward appearance was distinguished by simplicity and strength. He was below the middle height, with the plebeian features of the Slavonic type of face, brightened by piercing eyes; and his powerful forehead and still more powerful head gave him a marked distinction. According to most reports, in his personal life Lenin was a modest and unassuming man. He liked children and cats and his enthusiasms included bicycling, amateur photography, chess, skating, swimming, hunting, music and hiking. Lenin despised untidiness, always keeping his work desk tidy and his pencils sharpened. When in exile in Switzerland, Lenin, accompanied by his wife Krupskaya, developed a considerable passion for mountain walking in the Swiss peaks. As influential as he was in life, Lenin may have been more so in death. Over 100 million have lined up to view his mummified body. His memory has been used to support every change in Soviet policy and every new regime since his death. His theories inspired the successful revolutions of Fidel Castro, Mao Zedong, and Ho Chi Minh; as well as countless other revolutionaries in countries full of oppressed and powerless people. When Lenin died on 21 January 1924, near Moscow, he was acclaimed as "the greatest genius of mankind" and "the leader and teacher of the peoples of the whole world". Historian J. Arch Getty has remarked that "Lenin deserves a lot of credit for the notion that the meek can inherit the earth, that there can be a political movement based on social justice and equality". Time Magazine also named Lenin one of the 100 most important people of the 20th century, and one of their top 25 political icons of all time; remarking that "for decades, Marxist–Leninist rebellions shook the world while Lenin's embalmed corpse lay in repose in the Red Square". Following the dissolution of the USSR in 1991, reverence for Lenin declined among the post-Soviet generations, yet he remains an important historical figure for the Soviet-era generations.